Discussion in 'Arachnoboards Announcements' started by MrDeranged, Nov 23, 2004. We received the proofs today and must mention they are SLAMMING. Garth did an A1 job on the layout as we've come to expect from him. Posters will be 36" x 24" and printed on high quality glossy paper. Worldwide: The 12 best pictures (as picked by the judges) of both the Old World and New World posters, for a total of 24 specimens on the poster. 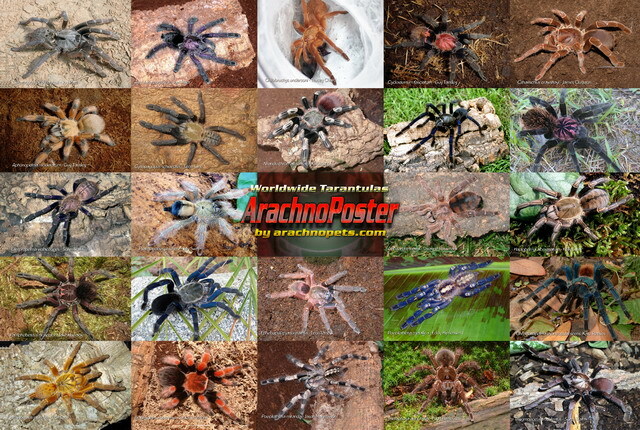 Old World: The 12 Old World tarantulas from the mixed poster and 12 other outrageous Old World Tarantula Pictures. 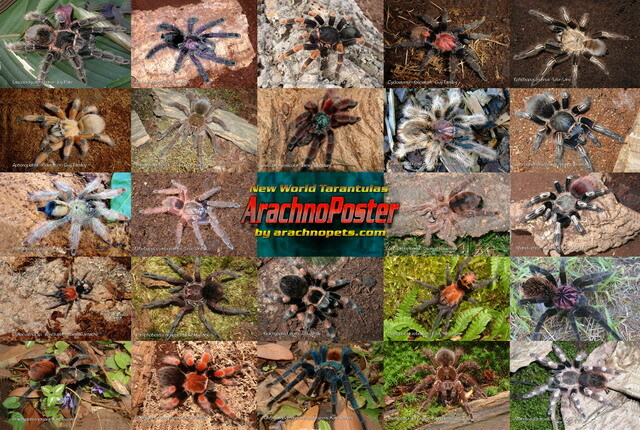 New World: The 12 New World tarantulas from the mixed poster and 12 other excellent New World Tarantula Pictures. If you would like to Order, or have any questions, then please email Debby with your name, which posters you're interested in and your mailing address so we can get you a shipping cost. 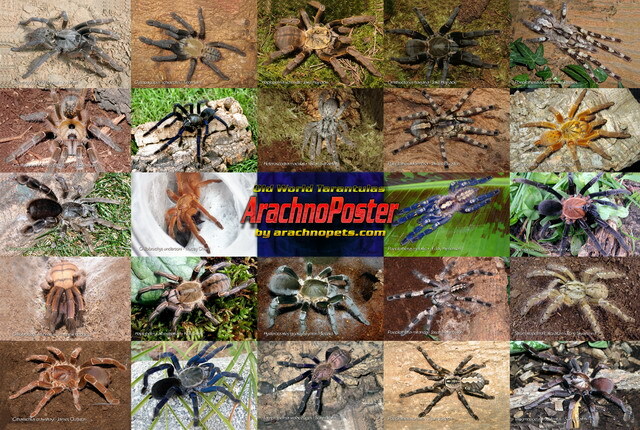 Thanks and we hope you enjoy the Arachnoposters.